ZAGREB, Croatia (AP) -- Former Croatian Prime Minister Ivo Sanader was sentenced to 10 years in prison for bribery on Tuesday, after a trial that was closely monitored by the country's future partners in the European Union. Sanader, 59, who served as prime minister from 2004 to 2009, is the highest ranking former government official to be tried for corruption in Croatia, which has pledged to root out corruption ahead of its joining of the EU in July 2013. Judges found Sanader guilty of accepting a €10 million ($13 million) bribe from Hungarian oil company MOL in return for securing it controlling rights in Croatia's state oil company INA. He was also found guilty of receiving €545,000 ($695,000) in kickbacks for a lucrative credit deal with Hypo Alpe Adria Group that gave the Austrian bank a leading position on the Croatian market. Sanader appeared emotionless in the courtroom as the verdict was read. "Did you understand the verdict?" Ivan Turdic, the head of the three-judge panel, asked. "You have been declared guilty on both counts of the indictment." "As a senior official of the Republic of Croatia you hurt its interests and its image internationally," Turdic added. "This verdict sends a message that committing criminal acts does not pay." Sanader, who was free during most of the trial, was led away by security guards to prison to start serving his sentence after the lengthy verdict was read. His lawyers said they will appeal the verdict. Sanader, who abruptly resigned as premier on July 1, 2009, maintained his innocence during the one-year trial. He alleged the charges against him were politically motivated and designed to prevent him from returning to high office. He was detained in Austria in December 2010, after Croatian authorities issued an international arrest warrant for him as he allegedly tried to flee from there to the United States. MOL, the Hungarian oil company accused of bribing Sanader, said that while it respected the court decision, it viewed the case as a matter of domestic Croatian politics. "We consider this case to be less about the companies that have been named and more a political matter within Croatia," MOL said in a statement. "We believe that you cannot convict someone if there is no motive, crime or evidence." "We have repeatedly categorically rejected the accusations against MOL and will continue to do so," it said. Hypo bank spokesman Nikola Donig said the bank does not comment on verdicts. 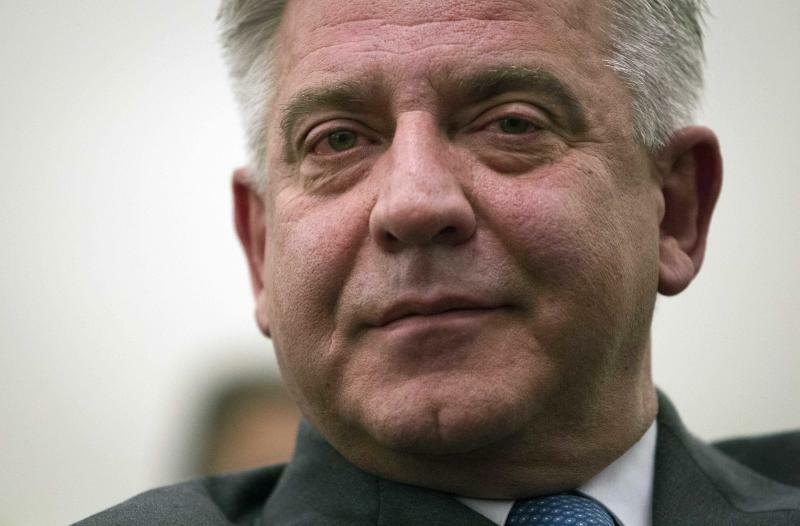 Turdic also said that Sanader was guilty of "war profiteering" while Croatia fought for independence from Yugoslavia and when he served as deputy foreign minister. Sanader once led the Croatian Democratic Union. He was credited with reforming the center-right party, which had been founded by late nationalist leader Franjo Tudjman. He and the party are also facing a separate graft trial for allegedly setting up secret funds that helped it stay in power for most of the time since Croatia declared independence in 1991. Associated Press writers Dusan Stojanovic and Jovana Gec from Belgrade, Serbia, and Pablo Gorondi, from Budapest, Hungary, contributed.